Adapter Converts from 1" x 8tpi headstock to 3/4" x 16 tpi male thread. Secure way to carry your Game Calls. Most accurate way to ensure your blanks end up round. Dead centers do not bend or whip. 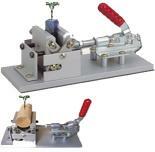 Available for lathes with with a 1# or #2 Morse Taper. Drill a perfectly centered hole in your blank on your lathe using this lathe chuck. I got tired of wasting time looking for my glasses or safety glasses so I decided to do something about it. 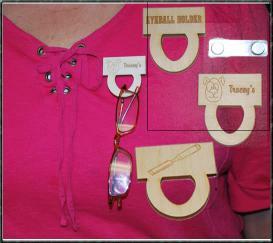 I made myself a magnetic eyeglass holder. No pin holes in my clothes! Tim thought it was a handy idea and asked if I'd make em' to sell on the site, So here they are. If you would like it personalized just include that in the note section. It's not a huge space so keep it simple. It's approx. 2"x2" in size. Click on image for complete info. & pictures of complete system. This item comes with a six inch vacuum head with 1-8 threads. Also available in 1-1/4x8 and 33mmx3.5. 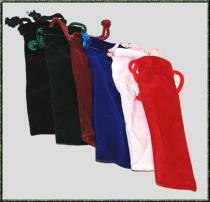 Call for ordering info if you need on of those larger thread sizes. We usually have them in stock. Click on image for complete info. & larger view. 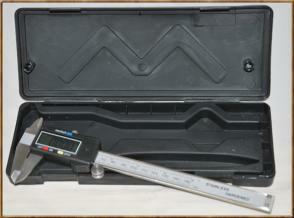 Also available in 1-1/4x8 and 33mmx3.5. Call for ordering info if you need ne of those sizes. Also available in 1-1/4x8 and 33mmx3.5. Call for ordering info if you need one of those sizes. You've ask for it so here it is! As with the Kit, the refill will have a UPS shipping surcharge added at checkout to cover the cost of a Box shipping. If shipping is less your surcharge will be refunded. We are unable to ship this kit outside of the USA due to its hazardous material rating. This product only ships to the 48 contiguous states. For US shipments during winter months, a signature will be required for delivery. For #1 MT or #2 MT headstock and tail stocks. 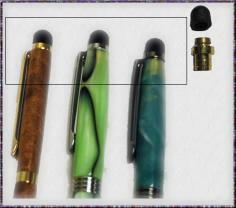 PLEASE NOTE: TM31KL - Discontinued, ONLY #2 Available. Heavy Duty with 60 degree point and ball bearing precision. Do not order the PKMWR wrenches if you order this mandrel. Select appropriate size from the dropdown list. Drill through the exact center of your blank. Will hold blanks up to 1-1/4" square. for this item. It has to go into a Med Flat Rate Box. I will send you a Paypal invoice for the balance of the shipping. 5/5" Replacement cutter head for 7mm barrel trimmer. Click on image for full view and complete description. Safely sharpen bowl and spindle Gouges. Please Note: The system has been re-designed and no longer has a measuring device. There were issues with the measuring device hitting the grinding wheel. Thread on 1"x8" screw on. Mandrel Set for 5/8" Shopsmith. Use to square the ends of your pen blanks.